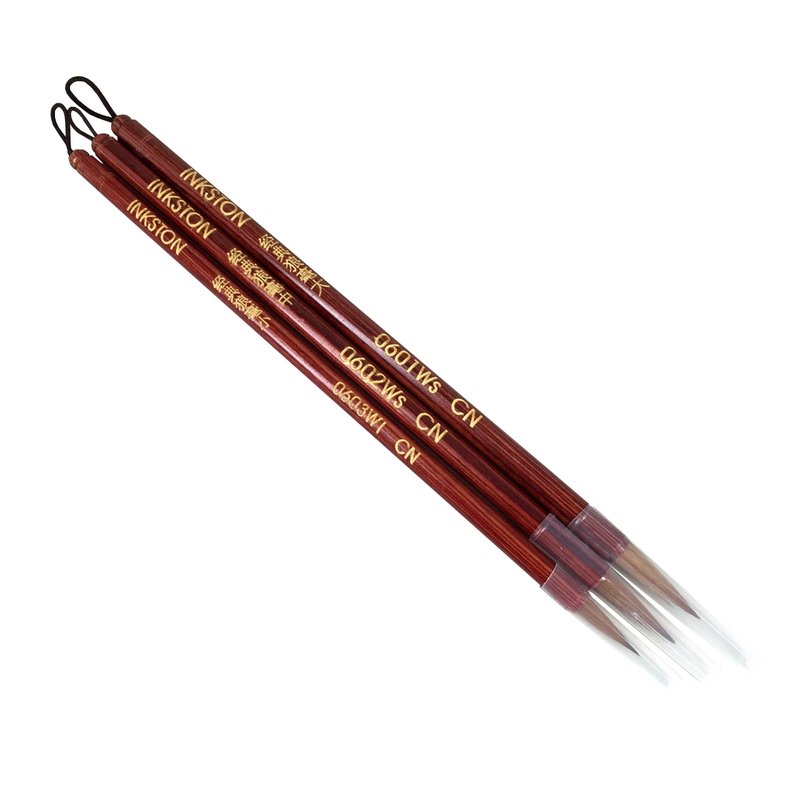 0603Ws Weasel hair Classic Calligraphy Brush Small 0.5×2.1cm. 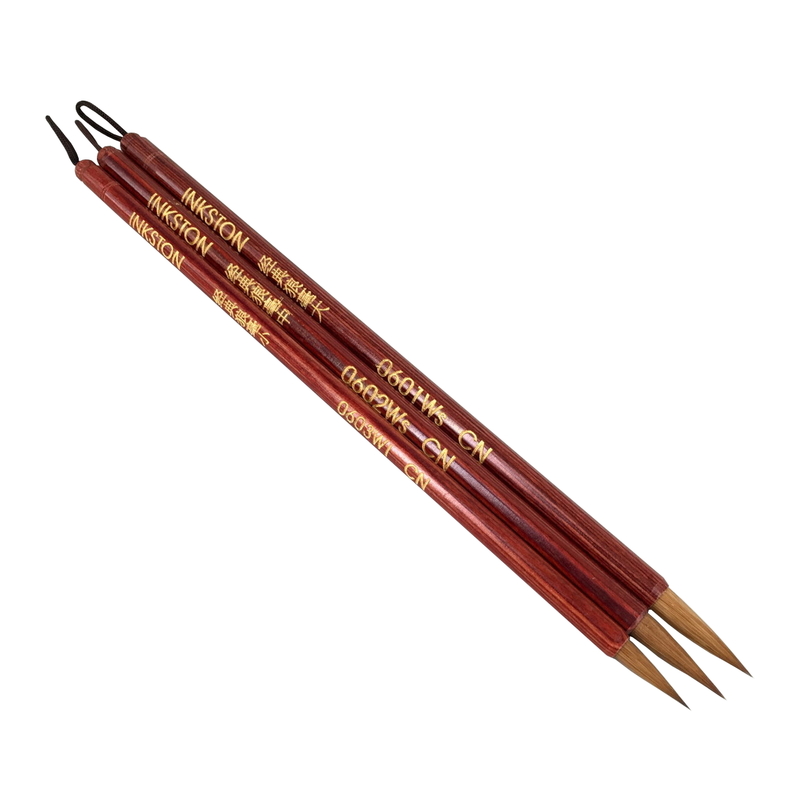 Beautiful, high quality brush set – love it. Awesome customer service as well; very friendly and extremely quick in replying questions. I wouldn’t hesitate ordering at Inkston again! 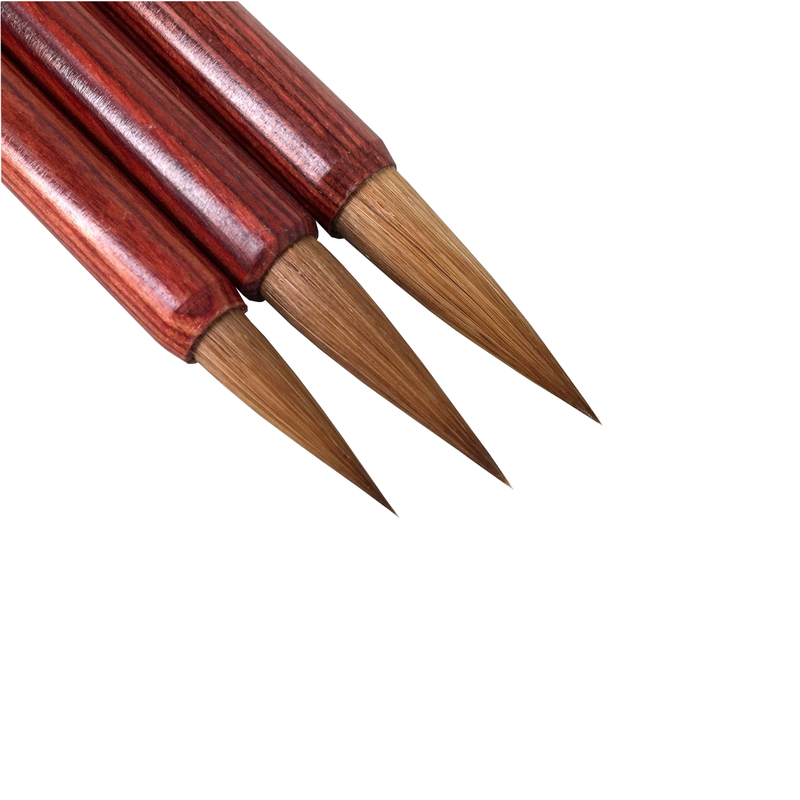 Nice set of excellent quality brushes which allows you to tackle many facets of Chinese painting. This Red Star wool brush is a great brush. I own one of these brushes that I purchased from Inkston about 2 months ago. I wish I owned the full set. (I have the #2 brush from the left in the supplied photo.) I primarily paint landscapes and this brush is great for that. I really like using this brush. It holds it’s tip well. And, it is what you’d call a wet brush as it holds either color or ink beautifully allowing you to fully exhaust your brush before reloading.. Inkston is also a wonderful company. They ship quickly and pack their product expertly to avoid damage in shipping. I highly recommend this company and these brushes.